Bentley has unveiled its fastest and most powerful production car to date - the Continental Supersports. With a top speed of 209 mph and a 0-60 mph time of 3.4 seconds, Bentley says the new Continental Supersports is the world’s ‘fastest and most powerful luxury four-seat car’. Similarly, its soft-top sibling is described as the fastest four-seat convertible in the world, despatching the sprint to 60 mph in 3.7 seconds on its way to a 205 mph top speed. 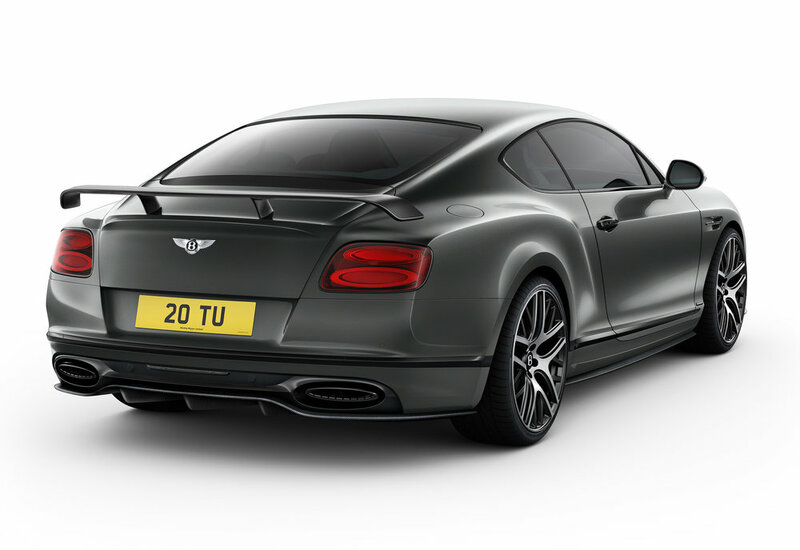 Bentley’s W12 engine has been redeveloped for the Supersports, with new high-performance turbos and engine hardware, while a torque vectoring system and unique styling cues inside and out give the new model a ‘sharpened, athletic’ appearance and performance. The engine revisions result in an increase of 80 PS (79 bhp) and 217 Nm over the 2009 Supersports model – a 10 percent power-to-weight and 25 percent torque-to-weight ratio improvement. The top speed rises by five miles per hour (and the 0-60 mph time drops by 0.3 seconds). High-performance carbon ceramic brakes sit behind lightweight 21” forged alloy wheels. The exhaust system has been redesigned to ‘breath more freely’ and provide a ‘rifle-fire crackle’ on down-shifts. The performance enhancements are matched by a specifically calibrated and updated version of the torque vectoring system first introduced on the Continental GT3-R. This aids the all-wheel-drive system, braking individual front and rear wheels during acceleration out of corners to increase performance, whilst maintaining full power to unbraked wheels, and brakes the inside rear wheel on turn-in to improve agility. Exterior changes include newly sculpted front and rear bumper designs incorporating a carbon-fibre splitter and diffuser respectively, new side sill extensions and bonnet vents finished in carbon-fibre, as well as a gloss-black front wing vents and a new gloss-black exhaust tailpipe design. Completing the sporty exterior look are dark-tint headlamps and tail-lamps, and a host of black-finished brightware on the front grilles, lights, rear bumper, door handles and window surrounds. There is also an optional, aerodynamically balanced rear spoiler and front splitter combination for the coupe, new Supersports badging, a new black and bright-machined finish for the 21” forged alloy wheels and optional side decals. The new Supersports Convertible model becomes an open-tourer at the touch of a button. The multi-layer hood ensures 'high levels of refinement' and acoustic insulation, and has been tested in conditions from -30°C to +50°C. It resists monsoon-force rain while maintaining comfortable, draft-free warmth even on the coldest days, according to Bentley. A neck warmer makes open air driving a comfortable prospect on the cool days. On the inside, a three colour split has been created and is the first tri-tone interior offered in this generation Continental GT. A new diamond-quilted design is incorporated in the seats and door side panels for a unique signature in Alcantara, while chequered Supersports carbon-fibre fascia panels join the existing list of ten veneers and technical finishes available. The interior is completed by new Supersports emblem stitching, and a bespoke Supersports steering wheel and unique gearlever, both featuring Alcantara accents. A titanium exhaust option is available for drivers seeking a more intense audible experience, which also provides a 5kg weight reduction. For Supersports customers seeking even more personalisation, an ‘X Specification’ pack is available, consisting of eight unique duo-tone paint treatments and carbon-fibre door mirrors and heel plates. The titanium exhaust option is included, as is a carbon-fibre finish to the interior side panels, a carbon-fibre engine cover and a gloss black finish to the 21” forged wheels. 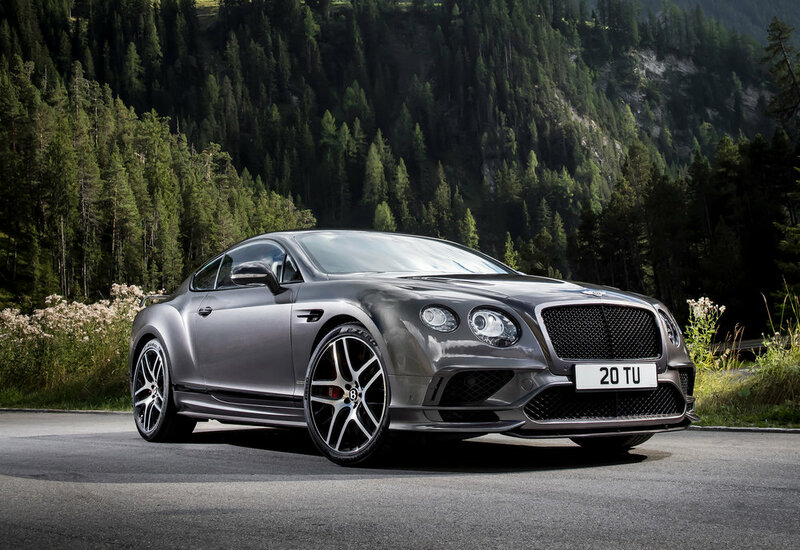 Prices for the new Bentley Continental Supersports have yet to be announced.